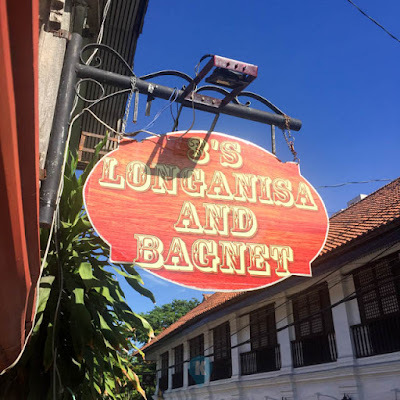 If you're stuck in Vigan and you don't have time to go to the market to buy bagnet and vigan longganisa pasalubongs. Go to this place. Its located opposite that of Vigan Plaza Hotel. They are the only one there so you won't miss them. This article should have been classified as dining but this place is only for take outs. Their bagnet is crunchy and their vigan longganisa is superb. Forgot the prices but they're really cheap compared to that sold along calle crisologo. Bought almost two kilos of bagnet and two dozens of vigan longganisa under Php500. The Bagnet can be reheated with no oil needed on the pan. 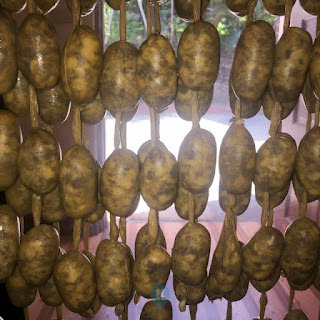 Then the vigan longganisa doesn't need to be boiled in water prior to frying. Both reminded me of vigan when I ate them back home. 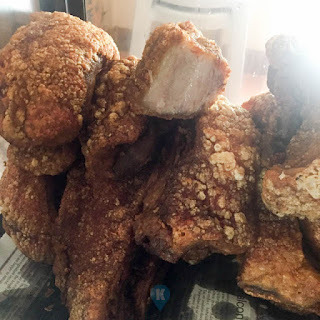 Look at the that Bagnet. Still Crunchy even when reheated. 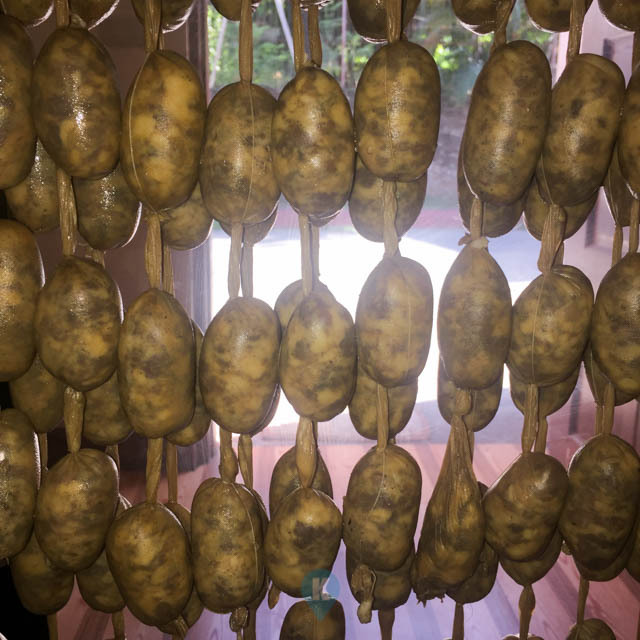 These longganisa survived in the fridge for more than a month. We forgot it was in the freezer.